Beauty is everywhere if one just opens his or her eyes and looks, and there is little more beautiful than nature’s paintbrush. 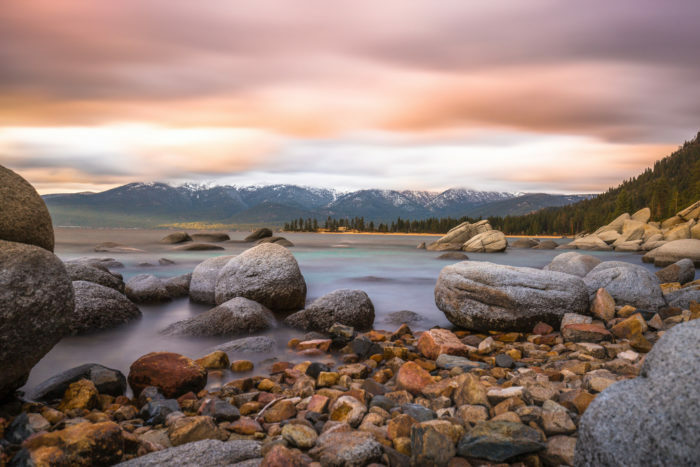 From colorful rocks to vibrant wildflowers to opulent water, nature’s colorful beauty is all around us. 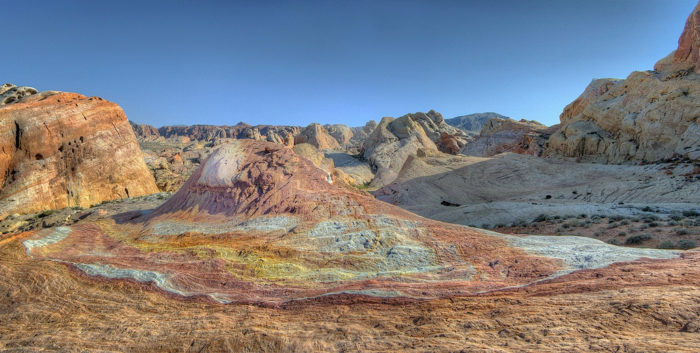 Take a look at these six Nevada attractions with colors so stunning you have to see them to believe it. Pinch yourself, you’re not dreaming. 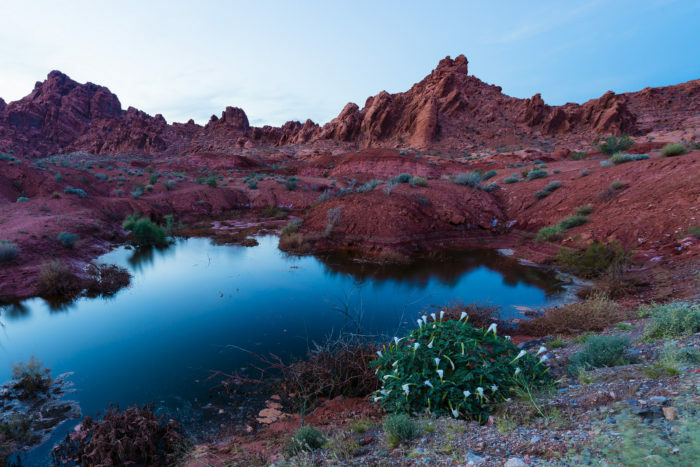 Located 16 miles south of Overton, the brilliantly vibrant Valley of Fire State Park covers 46,000 acres. 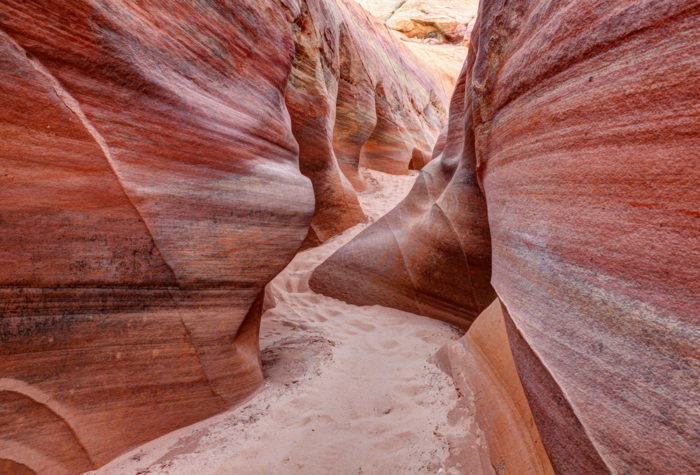 Its highly colorful red sandstone formations are truly beautiful. The park received its name from the way the sun reflected upon the shifting sand dunes, giving the effect of fire. 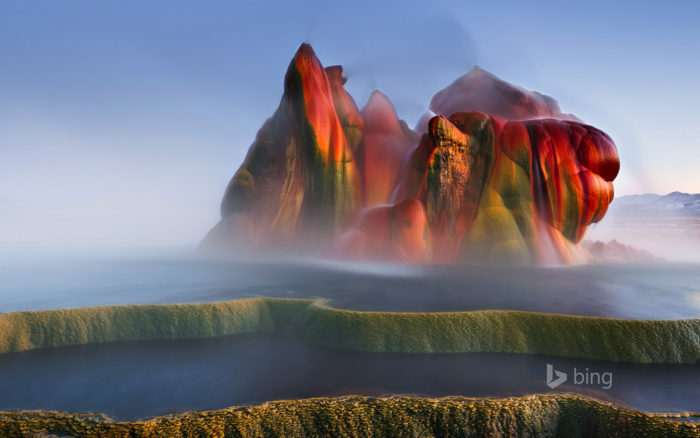 A small, man-made geothermal geyser, the stunningly colorful Fly Geyser is located in Washoe County, 20 miles north of Gerlach. The geyser and the ranch upon which it is located is closed to the public; however, visitors can see its splendor from beyond the perimeter fence. A combination of thermophilic algae and the wet, hot geyser conditions have led to the creation of the geyser’s truly stunning colors. 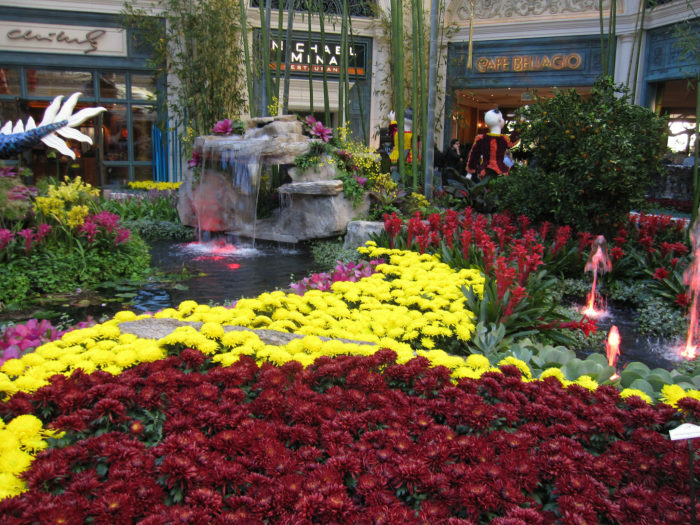 The Bellagio’s Conservatory and Botanical Gardens demonstrates the natural beauty of seasonal trees, flowers, and other brilliant plants year round. 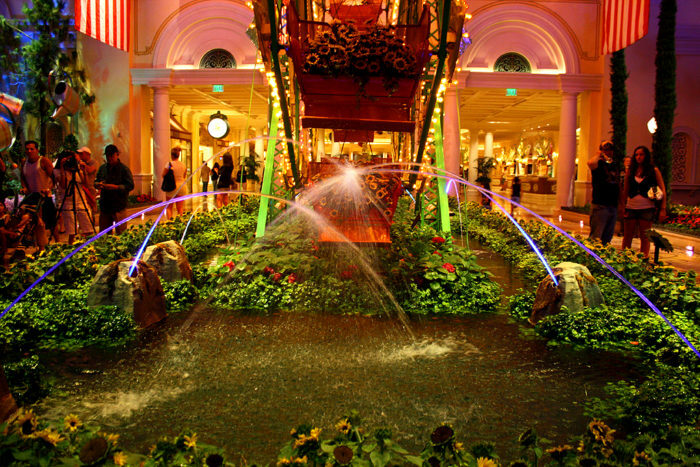 Located near the front desk, the Bellagio’s Conservatory and Botanical Gardens is the gateway to the hotel’s many shops and restaurants. This stunning, 14,000-square-foot horticultural display changes five times per year to accommodate the seasons and to commemorate the Chinese New Year. 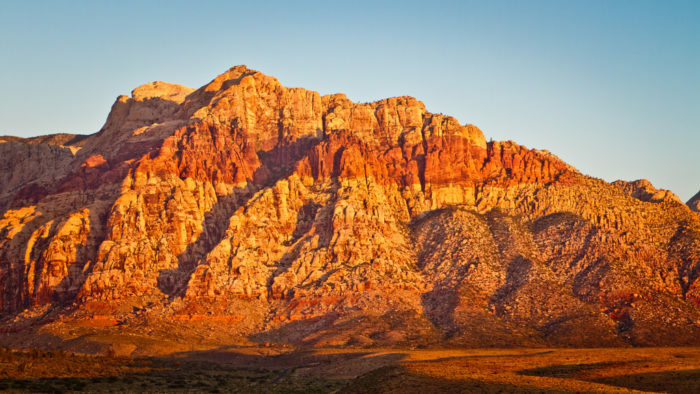 Located just 17 miles west of the hustle and bustle of Las Vegas, Red Rock Canyon represents the epitome of the Mojave Desert’s unique colorful flora and fauna. 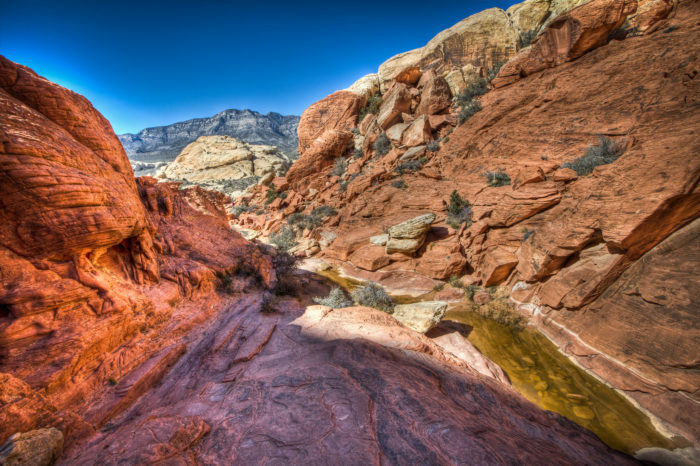 Managed by the Bureau of Land Management (BLM), Red Rock Canyon offers numerous colorful sandstone rock formations. Visitors can drive the scenic loop, picnic, hike, and rock climb while embracing the natural wonder and jaw-dropping awe of the area. 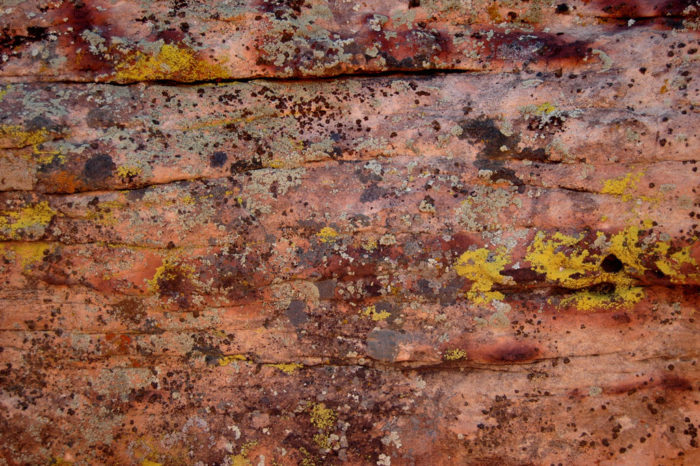 A close-up shows the phenomenal natural coloration inherent in the rocks. 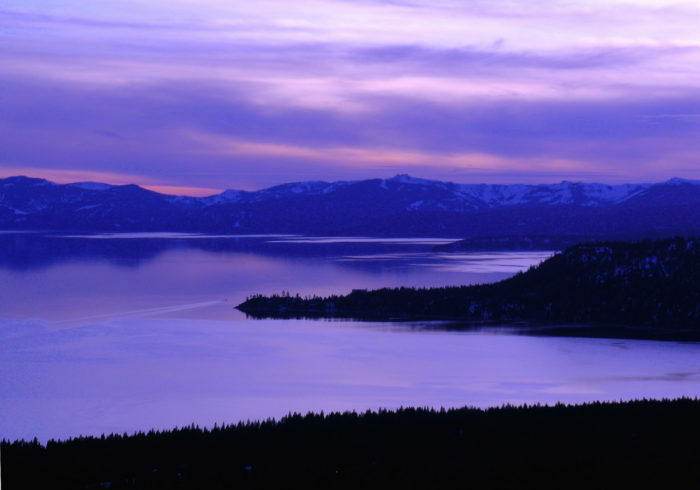 You likely already know since it’s in your backyard, but Lake Tahoe is still the largest alpine lake in North America. 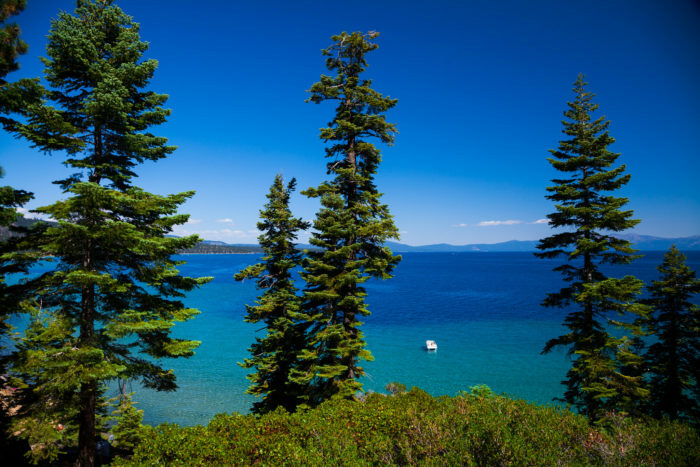 The opulent, cerulean-blue Lake Tahoe sits at 6,225 feet above sea level and straddles the Nevada-California border. The gorgeous lake is colorful year-round and is a precious treasure to all locals who are fortunate to live close enough to visit often. 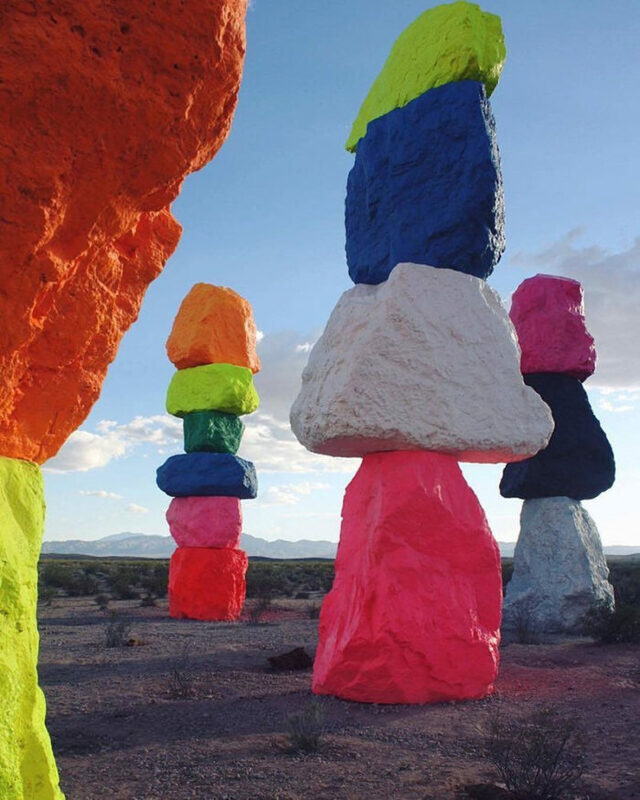 This large-scale piece of public artwork by renowned Swiss artist Ugo Rondinone is a two-year exhibit located in the desert near Las Vegas. A modern, colorful Stonehenge of sorts, these seven thirty to thirty-five-foot high day-glow totems are created from painted, locally-sourced boulders. 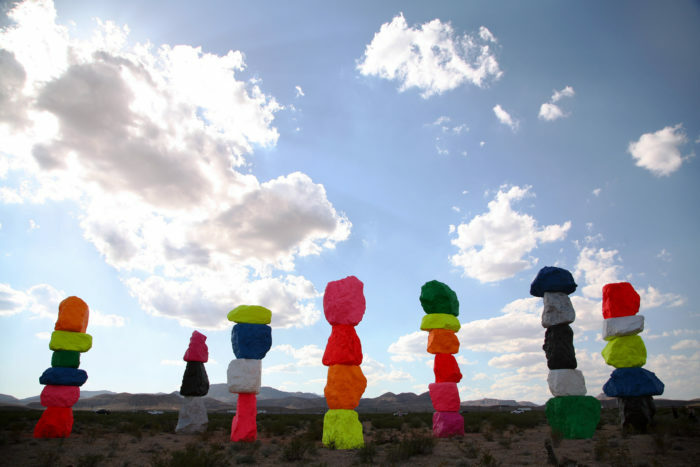 The 7 Magic Mountains are visible along Interstate 15 between Las Vegas and Los Angeles and represent the dichotomy between the artificial and the natural. 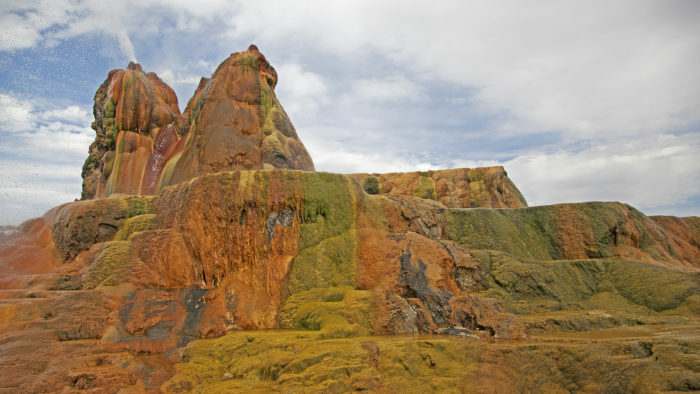 Granted, this attraction is not naturally colorful, but it is a spectacular and colorful sight not to be missed and worthy of inclusion into this list. Thank you, Vicki, for sending me a reminder of how glorious Nevada is. You ain’t too bad yourself! Thanks for sharing, Susie Q! Hope your business is booming! I have been to all of “the colorful places” Great place to live. Give my love to Freddie, think of her often and hope this finds you both in good health. Why is the Magic Mountain exhibit for only two years.